Sunday, March 25, 2018, was yet another momentous time for servant of God and president of Omega Fire Ministries worldwide (OFM), Apostle (Prof.) Johnson Suleman. It was his birthday celebration. And the day witnessed massive celebration as the church chose to host him and his lovely to a special feast. 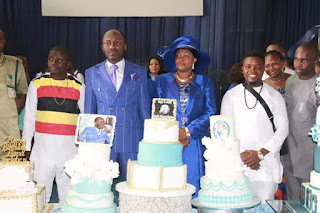 From the giant cake to the impressive decoration of the church premises, the colourful atmosphere occasioned by the regal presence of spiritual men and women of caliber, the shindig was one of the best in planning in recent time. 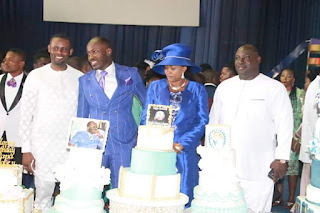 Characteristics of him, Apostle Suleman, a firebrand preacher of the Word, who sauntered into the venue in the company of his beautiful and lovely wife, Reverend (Mrs.) Lizzy Suleman, their children and top ministers of the OFM, used the opportunity of the celebration to extend blessings in kind and cash to the less endowed of the society, including his church members, educational institution, and even students. 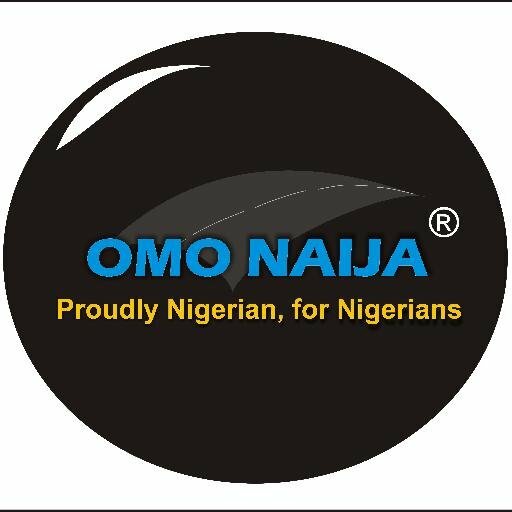 Significantly, the 'Oracle of God' as Apostle Suleman is respectfully addressed, shared a thought with Benue State government by offering N5 million in aid of persons displaced by recent herdsmen/farmers' clashes. OFM church workers who have continued to dedicate themselves to God's service, were blessed with N32 million by Apostle Suleman. The man of God also donated a 133kva electricity transformer to the medium security prisons in Auchi, while a widow was blessed with a befitting house fully furnished. A block of classrooms was also donated to a secondary school in Akpekpe, Etsako Central Local Government Area, Edo State and the tuition fees of students under his 'Apostle Suleman Scholarship Fund' were fully paid. 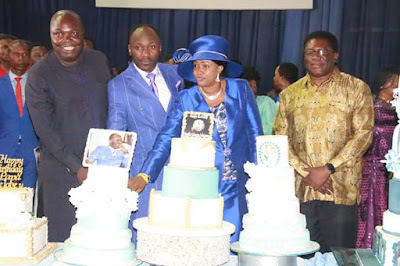 Information revealed that these regular gestures meant to relieve the burden on the government are being done from Apostle Suleman's private pockets through his charity foundation, 'Touch of Love'.